Attention Deficit Disorder is a neuro-psychological condition that inhibits focus, concentration, and learning. AD/HD interferes with self-control, judgement, and self-esteem. Helping these children is rewarding and is of benefit to society as many of them have gifts and talents that are masked by their condition. Albert Einstein, Thomas Edison and Steve Jobs are all thought to have had AD/HD. Are searching for an experienced psychologist ADD for your child? 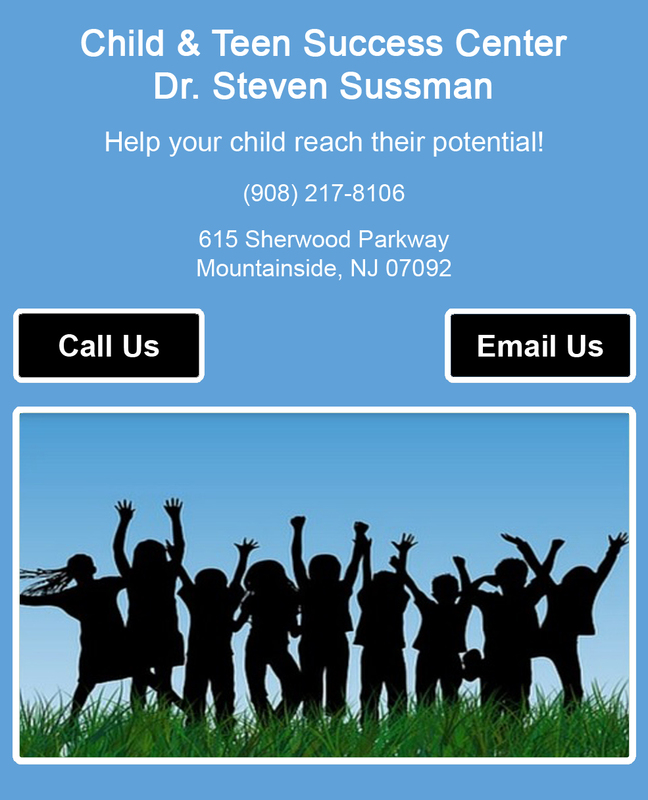 Dr. Sussman is an experienced attention deficit disorder therapist and learning disorders therapist devoted to helping your child. As your child's ADD therapist, he finds the greatest reward in working with your child watching them evolve. For an appointment with our attention deficit disorder psychologist, contact our office today. Looking for an ADD therapist? We are an experienced psychologist ADD. Call (908) 217-8106 for an attention deficit disorder therapist. Dr. Sussman is an attention deficit disorder psychologist and learning disorders therapist able to help you.